One of the most famous characters in Geneva’s folklore is ‘la mère Royaume’. Her feast is celebrated every 12th December, on the anniversary of the republic’s victory against the duke of Savoy in 1602, which is known as ‘l’Escalade’. 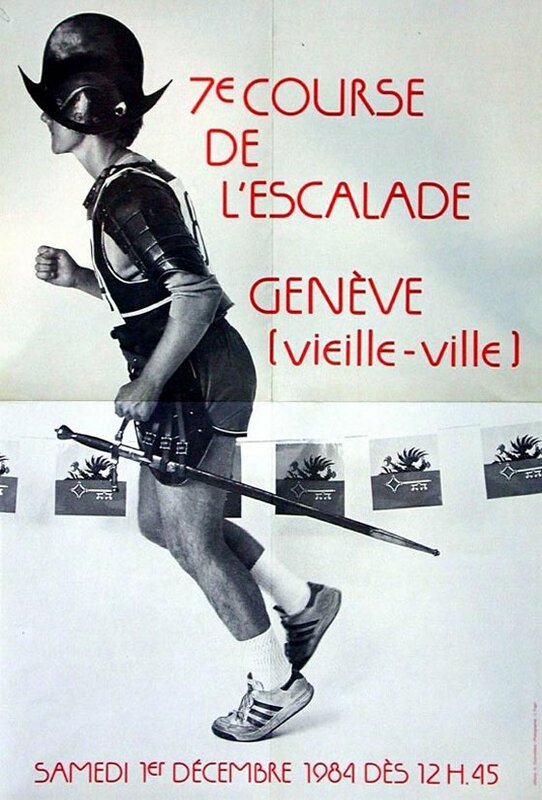 The name comes from the Savoyards’ attempt to invade Geneva by climbing (‘escalader’) the walls of the city on wooden ladders in the middle of a cold winter night. There was fierce fighting as the Swiss inhabitants, struggling to defend their political and religious freedom, repelled the invaders, many of whom were mercenaries. ‘La mère Royaume’ who was said to be in her sixties, and hailed from Lyons, took a pragmatic approach: she poured a cauldron full of hot soup out of her window onto a Savoyard soldier. Her ‘marmite’ became the stuff of legends—and yes, the marmite you love or hate to have on your breakfast table is called after the French word for cauldron which inspired the shape of its original jar. 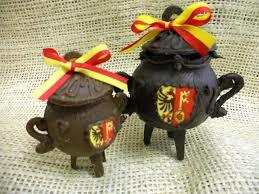 In Geneva, hot vegetable soup is served during the ‘Escalade’ festivities; pudding is a chocolate cauldron filled with sweets wrapped in red and yellow, the colours of Geneva, and little marzipan vegetables. It is smashed ceremonially with the following words being repeated by all: ‘Ainsi périrent les ennemis de la République!’, ‘Thus the enemies of the Republic perished!’. There are serious aspects to the celebrations which many consider to be Geneva’s most important public festivities, like processions to honour the dead of 1602, historical re-enactments or a service of thanksgiving, but one of the best-loved traditions is a recent one: the ‘Course de l’Escalade’ or ‘Escalade race’ which was first run in 1978. It is hugely popular and, made up in fact of several races according to the distance you want to run, your age etc. It happens in early December and is the largest event of its kind in Switzerland with tens of thousands of men, women and children taking part, some in fancy dress. Doubtless many of those who start when the whistle is blown and they hear ‘A vos marques, prêt, partez!’ (literally ‘on your marks, ready, go!’) and reach the ‘ligne d’arrivée’ or finishing line, want nothing more than to tuck in to a bowl of hot ‘soupe de légumes’ as the onlookers toast their success and the memory of ‘la marmite de la mère Royaume’ whilst reflecting on the irony of ‘Mother Kingdom’s cauldron’ having helped save the Republic! Continuing our occasional series of short films about the different degrees available at Oxford that involve modern languages: this week, Philosophy and Modern Languages. PS. Look out for our 2018 French Film Competition, which will be launching on this blog on December 7th. Joint schoolsWhat's it really like? Published in 2011, Eux sur la photo (translated into English in 2014 as The People in the Photo) is the first novel by Hélène Gestern who has published three more since, all to critical acclaim, including her most recent one, L’Odeur de la forêt (2016), which is on the longlist of the prestigious ‘Fémina’ book prize. 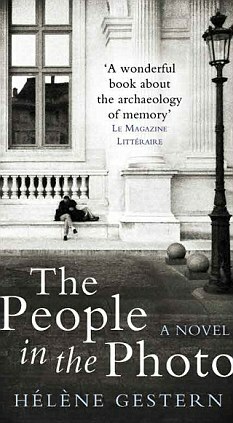 Eux sur la photo, which won several literary prizes in France, is about a young woman’s quest for her origins. She was only a very small child when her Mother died and she wants to learn about the woman she hardly knew. She finds a photograph and her hunt for clues starts there. As the story unwinds, we get to know more about her and about Stéphane who recognises his Father next to Hélène’s Mother on the snapshot when she has it published in a newspaper column in an attempt to get to gather information. The characters join forces to fill in the blanks as they face the fact that they have a common background about which they knew nothing. Their investigation of their parents’ past becomes a voyage of self-discovery as they learn to trust each other and their feelings. The book is also a reflection on memory and memories as well as on the power of photographs both to reveal and to conceal scenes and sentiments. There are descriptions of different pictures and various documents like letters, text messages and emails. This means the pace is varied but also that there is never a dull moment and the chapters are short and compelling. Une petite annonce dans un journal comme une bouteille à la mer : Hélène cherche la vérité sur sa mère, morte lorsqu’elle avait trois ans. Son seul indice : deux noms sur une photographie retrouvée dans les papiers de famille. Une réponse arrive : Stéphane a reconnu son père. Commence alors une longue correspondance, parsemée de détails, d’abord ténus puis plus troublants. Patiemment, Hélène et Stéphane remontent le temps, dépouillant des archives et cherchant dans leur mémoire. Peu à peu, les histoires se recoupent, se répondent, forment un récit différent de ce qu’on leur avait dit. Dépouiller : Here, it means to scrutinise or to examine something thoroughly. Se recouper : Here, to overlap. Le photographe a fixé pour toujours trois silhouettes en plein soleil, deux hommes et une femme. Ils sont tout de blanc vêtus et tiennent une raquette à la main. La jeune femme se trouve au milieu : l’homme qui est à sa droite, assez grand, est penché vers elle, comme s’il était sur le point de lui dire quelque chose. Le deuxième homme, à sa gauche, se tient un peu en retrait, une jambe fléchie, et prend appui sur sa raquette, dans une posture humoristique à la Charlie Chaplin. Tous trois ont l’air d’avoir environ trente ans, mais peut-être le plus grand est-il un peu plus âgé. Le paysage en arrière-plan, que masquent en partie les volumes d’une installation sportive, est à la fois alpin et sylvestre : un massif, encore blanc à son sommet, ferme la perspective, en imprimant à la scène une allure irréelle de carte postale. This scene of three people with their tennis rackets on a sunny day in the mountains is the photograph which sets Hélène’s thoughts in motion and makes her decide to find out more about her Mother’s past. The most distinctive thing about the sound of spoken French is its use of so-called nasal vowels. These are quite literally vowel sounds that come out of your nose: part of the air you’re breathing out as you speak has to go through your nostrils, rather than all through your mouth, as with the more common oral vowels. French is unusual in being so keen on them. English doesn’t have any, and nor do German or Spanish. In fact, there are only three European languages — French, Portuguese and Polish — that actually make them part of the language to the extent that they have oral and nasal versions of the same vowel, and speakers and listeners distinguish between them. use the oral and nasal versions of the same vowel. You can often spot people from the south of France by the way they say their nasal vowels. In Provence and the Midi, they often sound as if they have an English -ng at the end of it, so il vient sounds a bit like il vieng, le lapin like le lapeng. There are some lovely accents méridionaux in this trailer for the Provence-set film, Manon des sources. Listen, just before the one-minute mark, how the nasal vowels of destin (destiny) and bons à rien (good-for-nothings) come out in a strong southern accent, when the villain of the piece says: ‘Ce sont ceux qui sont bons à rien qui parlent d’un destin,’ (‘Only good-for-nothings talk about destiny’). While standard French has four nasal vowels, some French dialects distinguish five or even six different ones. In the Champagne region, for instance, some speakers pronounce pain and pin differently, even though the dictionary says they should sound the same. A more widespread and growing tendency, though, is to actually ditch one of the four nasal vowels, and make do with just three. Surprisingly, it’s the sound in un, which in the Paris region and increasingly across northern France is disappearing, replaced by the sound from pain. (Given that pronouncing the word un was probably one of the first things you had to learn when you began studying French, you’re within your rights to feel a little aggrieved at this.) 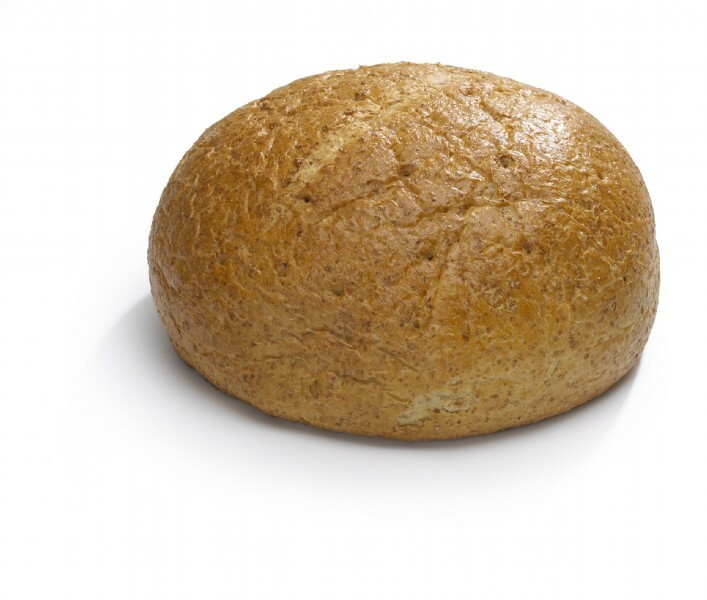 At some point in the not-too-distant future, the two sounds are likely to be indistinguishable in standard French, making words like brin (a twig) and brun (brown) into homophones. You can find out more about these and many other quirks of the French language in Henriette Walter’s wonderful book, Le Français dans tous les sens, also available in English as French Inside Out. Plus, if you’re interested in how language works, how it develops, and how diverse it is across the communities which speak it, then you can explore some linguistics in a modern languages degree. At Oxford, linguistics courses are available as options within any modern languages course, or as half of a degree in modern languages and linguistics, which you can learn about here. It’s university admissions time again, and Oxford has been trying to take some of the mystery out of our interview process. As well as releasing the video above, the university has been asking its tutors to reveal the questions they ask interview candidates. The story has been widely reported in newspapers, as well as on the BBC website here. What makes a novel or play “political”? “This is the sort of question that could emerge from a student’s personal statement, where, in speaking about their engagement with literature and culture of the language they want to study, they state a keen interest in works (such as a novel, play or film) that are “political”. “We might start off by discussing the specific work that they cite (something that isn’t included in their A-level syllabus), so they have chance to start off on something concrete and familiar, asking, for instance, “in what ways?”, “why?”, “why might someone not enjoy it for the same reason?”. “We’d then look to test the extent of their intellectual curiosity and capacities for critical engagement by broadening the questioning out to be more conceptually orientated and invite them to make comparisons between things that they’ve read/seen (in whatever language). “So, in posing the overall question, ‘What makes this political?’ we’d want the candidate to start thinking about what one means in applying the label: what aspects of a work does it evoke? Is it a judgement about content or style? Could it be seen in and of itself a value judgement? How useful is it as a label? “What if we said that all art is, in fact, political? What about cases where an author denies that their work is political, but critics assert that it is – is it purely a question of subjective interpretation? There are further details about the Oxford interview on the university website here. And you can explore lots more on the subject in the blog archives in the ‘Applying to Study Modern Languages’ category.